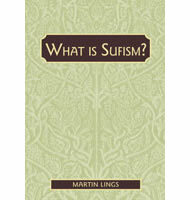 Author: Martin Lings Publisher: Inner Traditions Year: 1983 Pages: 359 Printed: USA ISBN: 9-780892-811700 Binding: Soft Cover Book Condition: New Weight: 545 gr. Description: With an unusual gift for narrative, the author has adopted a style that reflects both the simplicity and the grandeur of the story he tells. This book will be apprecitated and enjoyed by those already familiar with the life of the Holy Prophet as well as those approaching it for the first time.